I’m happy to announce three important TMS programs for this year: the TMS Annual Conference, the TMS School, and the TMS Scholar. The ANNUAL CONFERENCE of The Masonic Society will take place this year October 7-9, at Morgan Hill Masonic Lodge, Morgan Hill, California (just twenty minutes from San Jose International Airport). The theme of the conference will be “FREEMASONRY ON THE FRONTIER,” the role of Masonry in the westward expansion of the US and Canada. 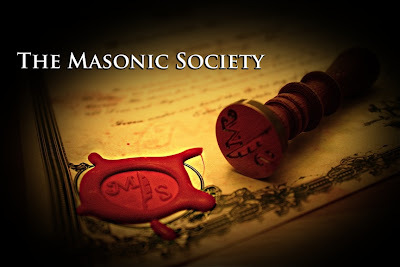 THE MASONIC SOCIETY SCHOOL will be a program of noncredit online Masonic “courses,” study groups, and reading groups, as well as possible tours and other experiences, exclusively for TMS members. We expect to launch the first offerings at the October conference. The school is being coordinated by TMS Director Greg Knott. THE MASONIC SOCIETY SCHOLAR will be an annual award to a Masonic researcher/educator. During the year of the award, the recipient will make himself available to speak at a number of lodges of research and other Masonic bodies throughout the world (with travel expenses paid by the local organization).